We will now discuss the significance of Revelation 1:7 which states: Behold, he cometh with clouds; and every eye shall see him, and they also which pierced him: and all kindreds of the earth shall wail because of him. Even so, Amen. What does this verse mean? What time is this verse speaking of? First we have to understand that the The Book of Revelation is not written in chronological order. The events described in The Book of Revelation happen at certain times. The events that do take place are not unorganized. The events are timed perfectly. God is order and not confusion. The order the events happen is also very important. That is one of the keys to understanding The Book of Revelation. As mentioned earlier, all of the events happen at certain times and for certain reasons. 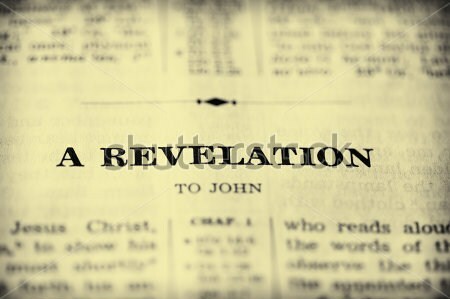 None of the major events in The Book of Revelation happen without reason. Revelation 1:7 is speaking about the time of the Great White Throne Judgment. How do we know that this is true? We know that this is true, because the verse states that every eye shall see Him, and they which pierced Him. The ones that pierced Him were the Roman soldiers who nailed Christ to the cross. We know that this is the White Throne Judgement because of Revelation 20:11-13 which states: 11 And I saw a great white throne, and him that sat on it, from whose face the earth and the heaven fled away; and there was found no place for them. 12 And I saw the dead, small and great, stand before God; and the books were opened: and another book was opened, which is the book of life: and the dead were judged out of those things which were written in the books, according to their works. 13 And the sea gave up the dead which were in it; and death and hell delivered up the dead which were in them: and they were judged every man according to their works. We can clearly see from the preceding verses that all of the dead were brought back to life to answer for the works that they did in their life. This is how, and why the ones that pierced Christ that were mentioned in Revelation 1:7 will see Him. Jesus Christ tells all of the dead who He is before The White Throne Judgment begins. Just in case anyone was wondering.